CSS Light recently published the design for our main website (modmacro.com). 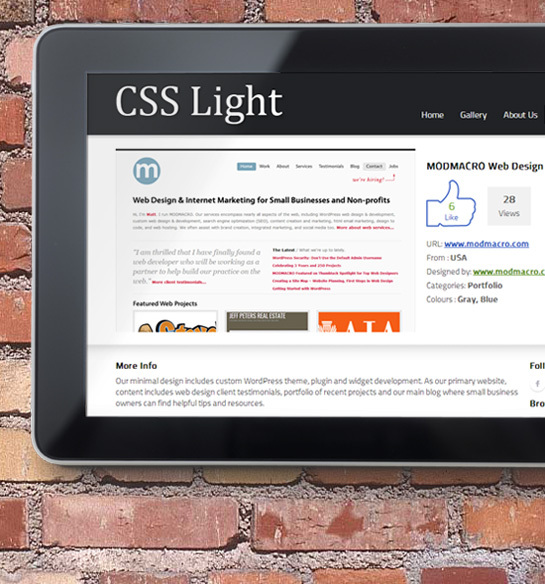 CSS Light showcases and promotes talents and trends in the world of designing. The site is primarily focused on presenting websites possessing unique skills in aesthetics, creativity, presentation and coding.